Are you bothered about the economic crisis and the global recession? Take control of your life and do something! 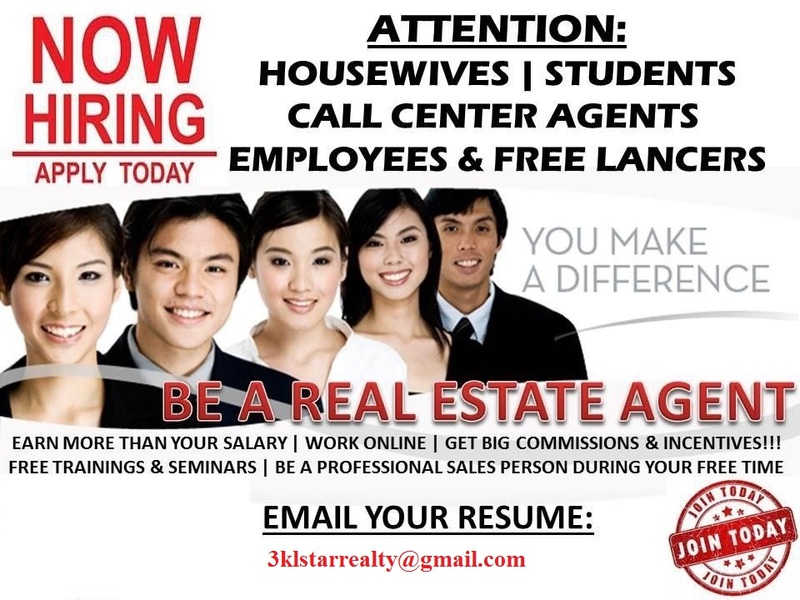 Be a real estate agent! Attend our FREE orientation and learn how to earn additional income. You can make a choice whether you want to do it part time or full time. We conduct free orientation every Monday to Fridays From 6:00pm to 7:00pm and Every Saturday from 1:30 p.m. to 3:30 p.m. We will teach you how you can jump start your career in real estate.